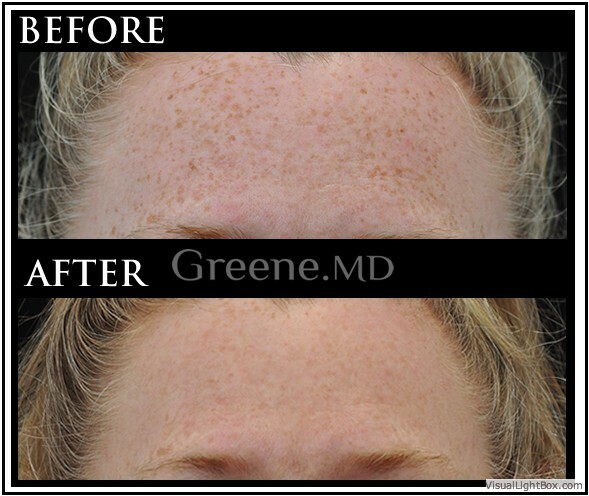 At GreeneMD, all IPL photofacial treatments are performed by our Certified Physician Assistant, Holly Rafferty. 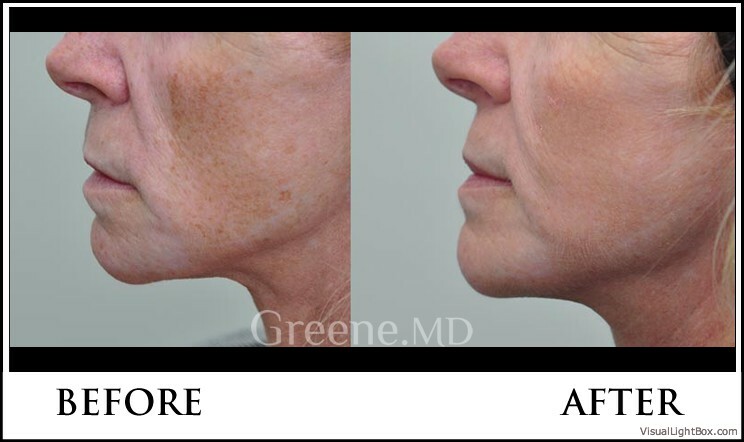 As a leading expert in laser and light technology, Holly Rafferty, PA-C offers the highest level of care with his aesthetic laser treatments. While many ‘laser clinics’ and ‘medspas’ offer a number of laser treatments, experience and a physician’s presence are often lacking. A patient should not underestimate the importance of being treated at a physician’s office when it comes to their laser treatments. Lasers and light-based devices can lead to serious complications if not used properly. Our reputation for quality care and safety is founded on proven experience. 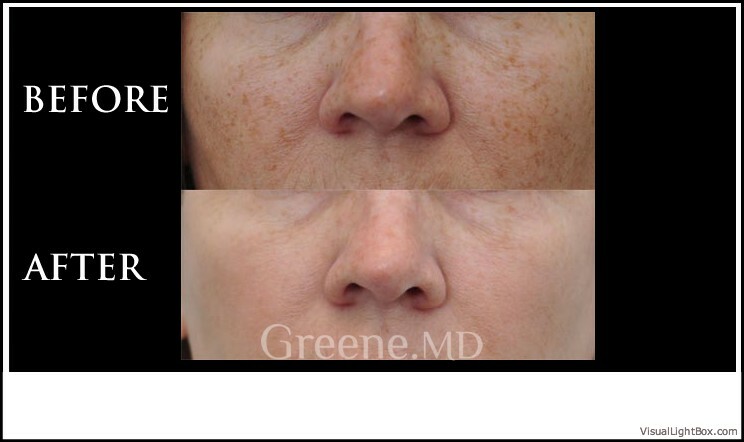 WHAT SKIN CONDITIONS ARE TREATABLE WITH AN IPL LASER FACIAL? 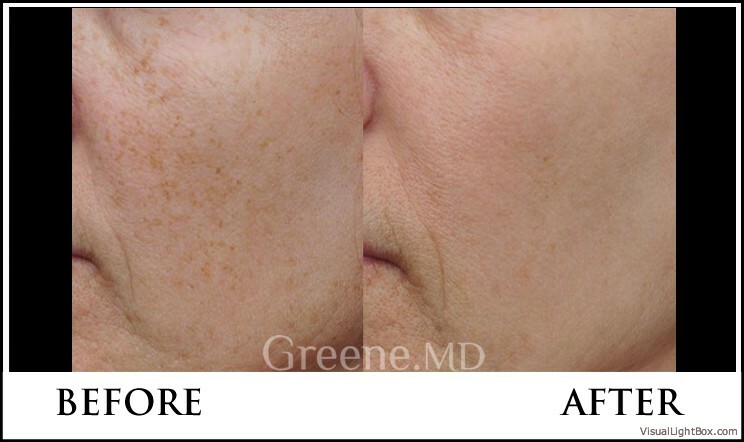 Skin conditions that are successfully treated with an IPL laser facial include age spots, freckles, sun spots, liver spots, pigmented acne scars, birthmarks, superficial skin wrinkling, fine spider veins (broken capillaries), diffuse redness associated with Rosacea, cherry angiomas, and even active acne reduction. You will also notice improvement of skin texture and tone. Holly Rafferty, PA-C will assess your skin and review your medical history to determine if an IPL laser facial is right for you. 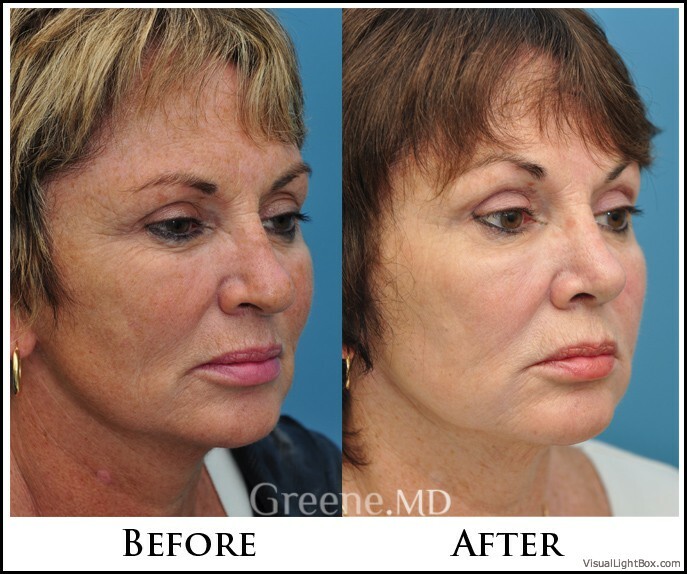 Some patients start their first laser facial treatment on the same day as their initial consultation. The treatment typically takes about 15 – 30 minutes depending on the size of the area being treated. Typically from 2 – 4 treatments are required for optimal results. Treatments can be done every 4 weeks. Immediate after-effects, if any, are minor. They may include redness and swelling, which disappear in a short time. 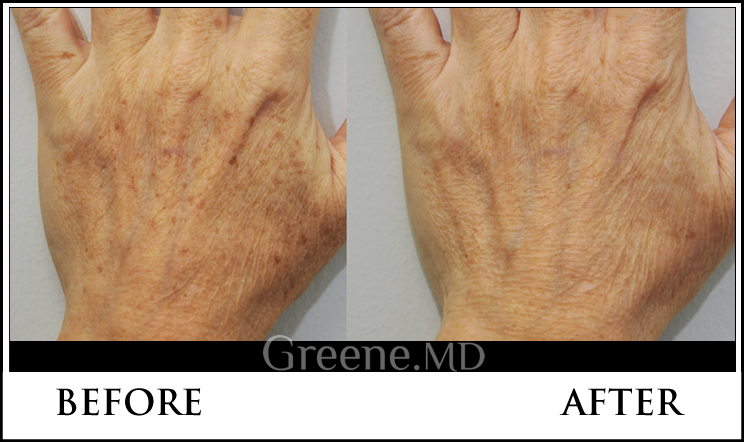 The darkened pigmented lesions will remain on the skin for approximately 1-2 weeks until they flake off. After each treatment, patients are usually able to return immediately to their daily activities. Make-up can be applied to the skin to cover the darkened lesions. What is the difference between an IPL laser facial treatment and laser skin resurfacing? 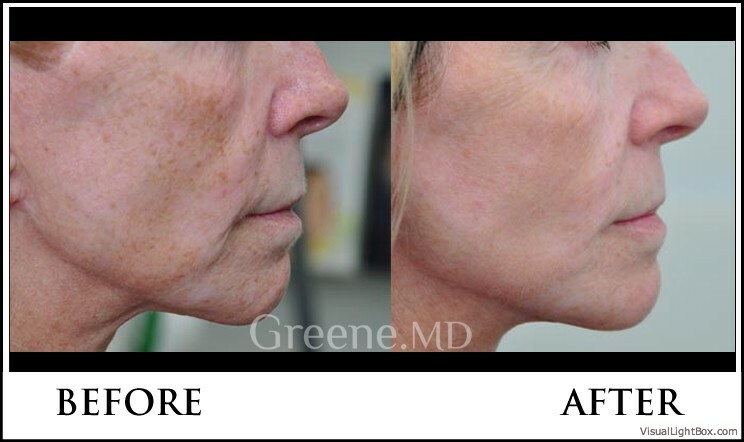 An IPL (intense pulsed light) device is more color specific, targeting pigmented spots and blood vessels, leaving the surrounding skin essentially intact and untreated. Whether CO2 or erbium, skin resurfacing lasers target the water content in the skin, and thus treats both pigmented and normal skin cells. This treatment has minimal discomfort. Typically, most patients do not require any topical numbing prior to treatment. 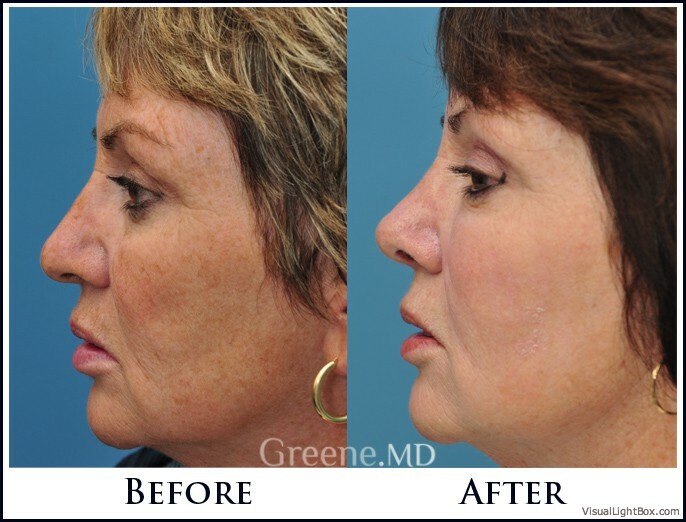 What should I expect after an IPL laser facial treatment? After treatment, the brown spots and sun damage that was targeted will darken for approximately 1-2 weeks before flaking off. Patients are able to apply make-up to the area to cover the dark spots. There is no post-treatment care, however, it is recommended to avoid significant sun exposure and Retin-A use for 1 week after treatment. Avoid tanning or significant sun exposure of the areas to be treated. Tanning decrease the color difference between the pigmented areas and the surrounding skin, making the treatment potentially more challenging, less safe, and less effective. Also avoid the use of photosensitizing medications (such as tetracycline or doxycycline) before a treatment, as this may exaggerate the skin response to treatment. It is also recommended to discontinue skin care products (such as Retin-A or Salicylic Acid) one week prior to treatment as this may make your skin more sensitive to the treatment. 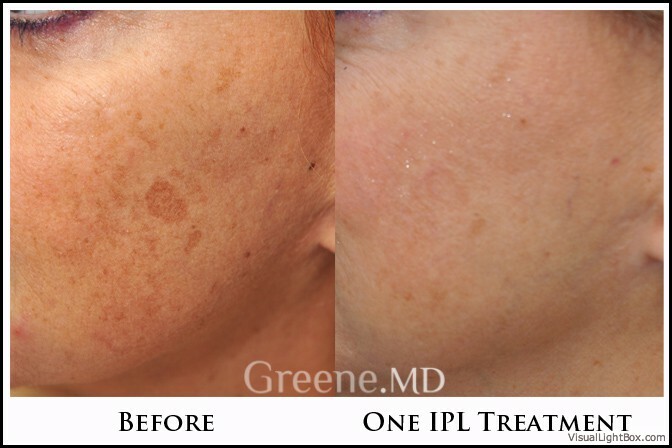 Does IPL work on darker skin colors? 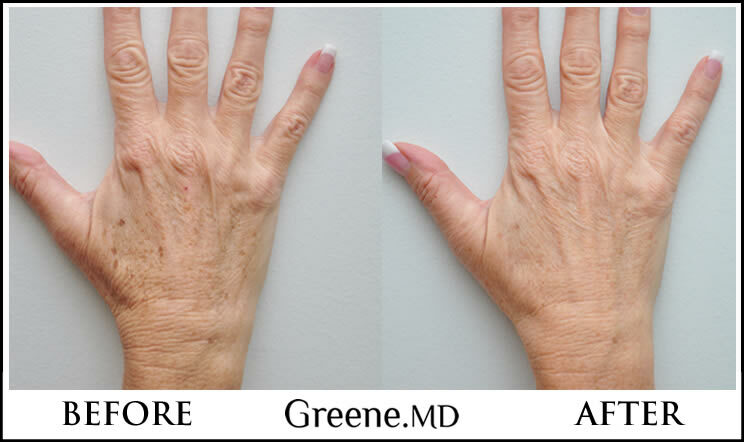 Our Palomar IPL device has an advanced Skintel Melanin Reader. This allows us to determine the amount of pigment in our skin, which will confirm a range of safe settings for the procedure. Darker skin types require more conservative settings and more expertise to perform safely. IPL treatments should be avoided in hair bearing areas of the face in men, since the treatment may also lead to unintended permanent hair reduction. In these areas, fractionated resurfacing would be a much better and safer alternative. You should refrain from any tanning or self-tanner products during treatment. The lighter the skin in comparison to the color of the pigmentation, the more effective the light is at targeting the pigment. Tanning of the skin can cause unwanted side effects to occur as well.